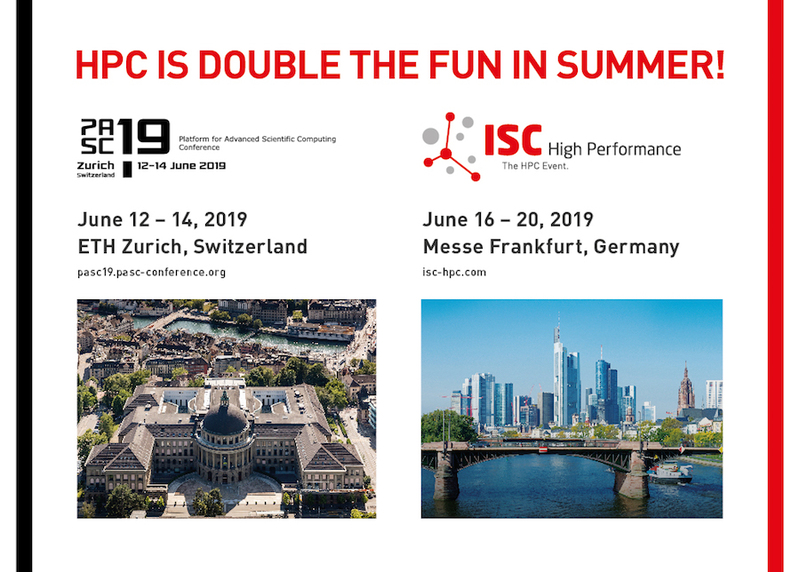 The PASC18 Organizing Team was delighted to welcome 400 attendees from 26 countries to Basel two weeks ago for the fifth edition of the PASC Conference series. 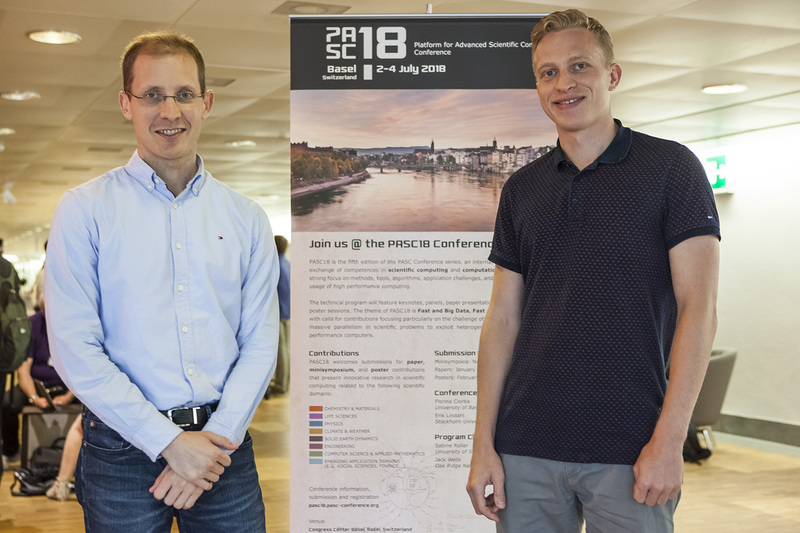 Thanks to its participants – more than 50% from abroad – who brought a wide range of perspectives on computational science from a variety of scientific fields, PASC18 can be considered a truly international and interdisciplinary platform. The technical program featured keynotes from Alice-Agnes Gabriel (Ludwig Maximilian University of Munich) on extreme-scale earthquake simulations, David Bader (Georgia Tech) on massive-scale analytics in real-world problems, Nils Wedi (ECMWF) on kilometer-scale weather and climate simulations, and Marina Becoulet (CEA/IRFM) on first-principles modelling of magnetohydrodynamics in fusion devices. Finally, charismatic VP and CTO of Hewlett Packard Enterprise Eng Lim Goh wowed the audience with his outlook on the paradigm shift from deductive reasoning to inductive reasoning, spurred by the application of artificial intelligence and machine-learning techniques to decades of accumulated data. Video recordings will be available within the next couple of weeks. 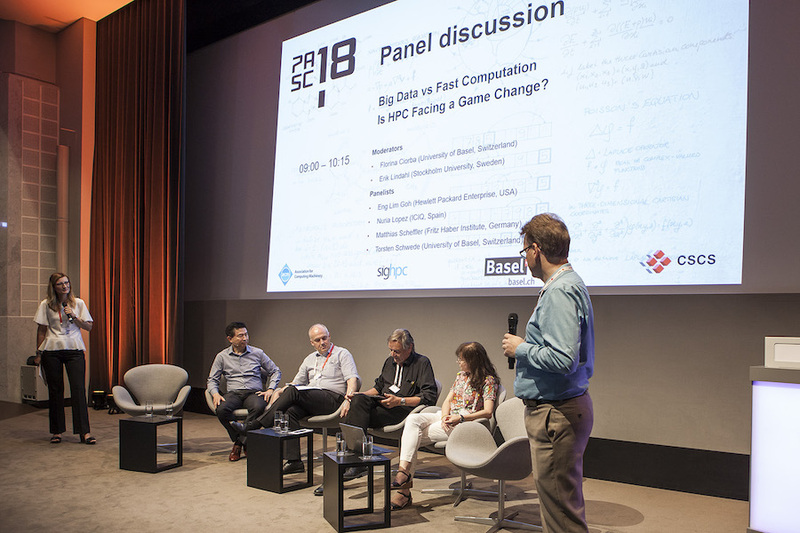 The theme of this year’s conference “Fast and Big Data, Fast and Big Computation” was discussed in a panel session, expertly moderated by PASC18 Chairs Florina Ciorba (University of Basel) and Erik Lindahl (Stockholm University). The panelists Nuria Lopez (Institute of Chemical Research of Catalonia), Matthias Scheffler (Fritz Haber Institute), Torsten Schwede (University of Basel), and Eng Lim Goh, engaged in a lively discussion on whether computational scientists need to apply techniques and algorithms from big data and artificial intelligence, or is it rather that the latter areas need to learn how to use and apply HPC to their own algorithms? In line with the PASC Conference’s focus on multidisciplinary exchange, this year’s program included a novel session: an Interdisciplinary Dialogue. 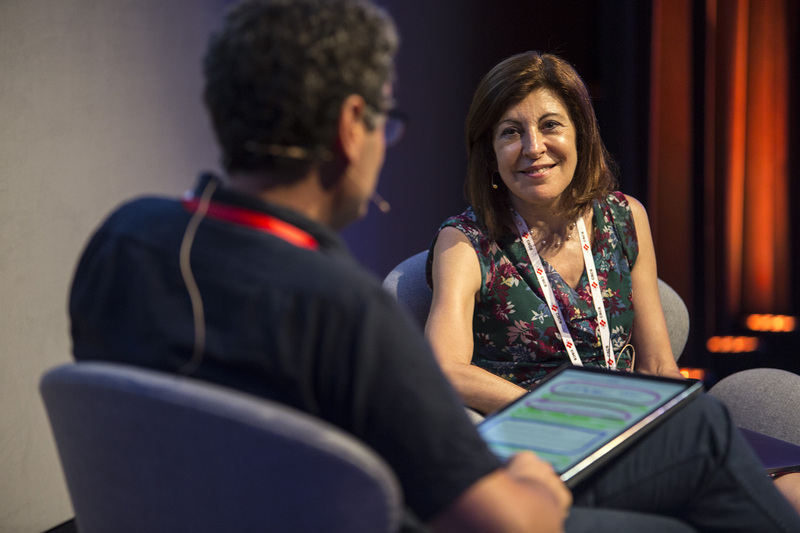 Petros Koumoutsakos, from ETH Zurich, engaged Constantia Alexandrou, from the University of Cyprus and The Cyprus Institute, in a “colourful” discussion on her area of research – quantum chromodynamics – and present-day scientific computing in general. A videorecording of the interdisciplinary dialogue is available here. 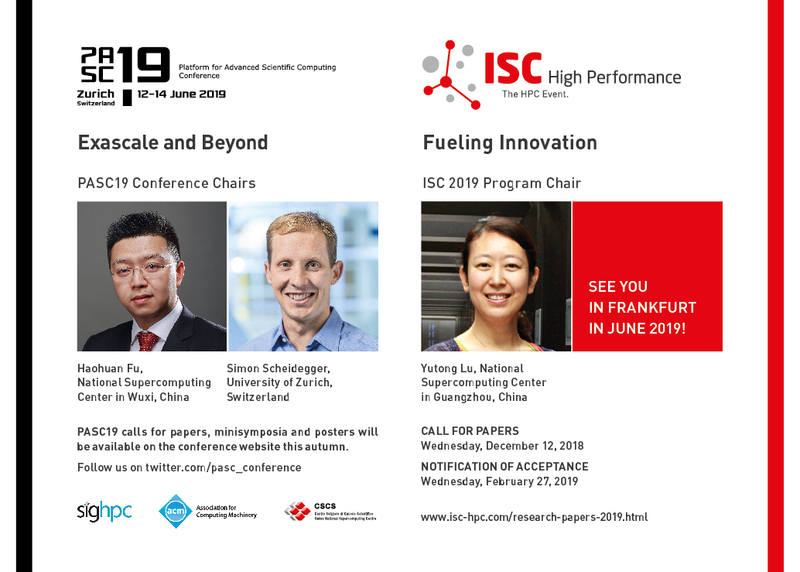 Notwithstanding the stimulating plenary sessions, the success of this year’s event was due primarily to the high quality of the minisymposium and paper sessions. Full papers are now available in the Proceedings of the PASC Conference, published in the ACM Digital Library at http://dl.acm.org/citation.cfm?id=3218176 (see Table of Contents tab), while slide decks from the minisymposium sessions – and poster presentations – will soon be available on the PASC18 website. We were delighted to be able to offer Student Travel Grants for the first time at PASC18, sponsored by ACM’s SIGHPC. 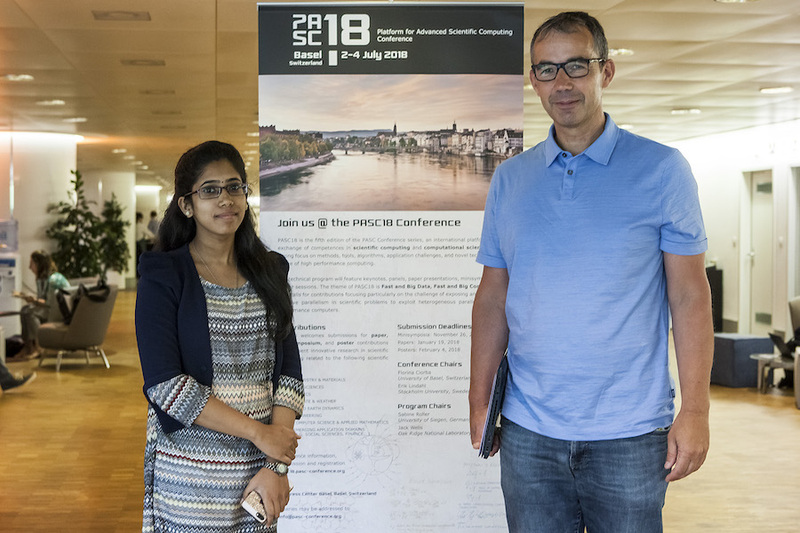 Alongside funding to attend the conference, the grant recipients, Jens Florian Mahlmann (University of Valencia) and Sushma Yellapragada (The Northcap University), were assigned mentors to guide them during the conference and introduce them to experts in their research fields.